You’ve heard so much about Iceland and you’ve finally splurged on a trip to see the Northern Lights. If you’re traveling to Iceland, you’ll most likely be flying into Keflavik Airport, the country’s international airport. 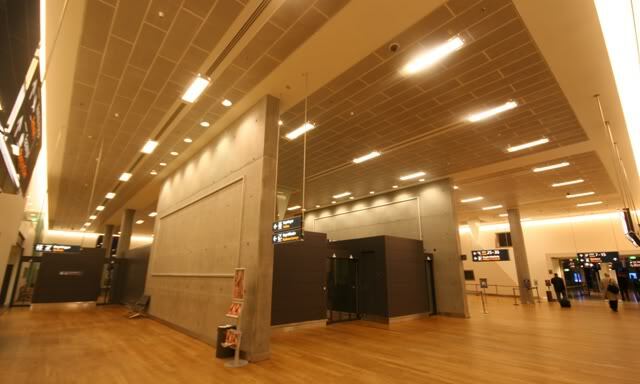 Keflavik (KEF) Airport is located approximately 31 miles from Reykjavik and is a modern airport full of amenities and conveniences, including free WiFi. If you’re looking for a few great Iceland travel tips, read on. 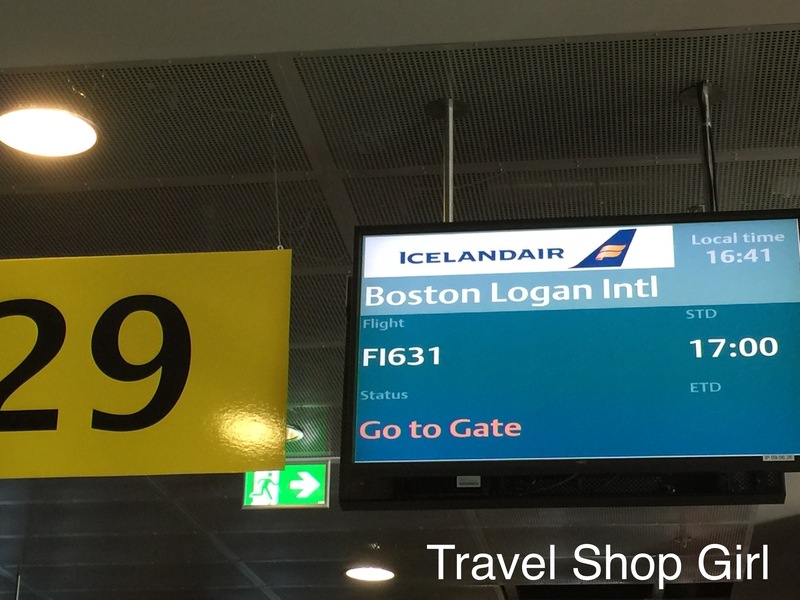 Here are 10 tips to help you get through Keflavik. Sometimes arriving into Iceland may mean leaving your airplane via stairs down to the tarmac and boarding a bus to take you to the terminal. Watch as you step down and try to leave room on the bus for others to board by not blocking the entrance way. When you get off your plane to enter the airport, follow the signs for “arrivals.” You’ll eventually need to go up an escalator and through passport control. Look for the correct line according to your passport and present your passport when it’s your turn. From here you’ll need to walk down a long hallway until you almost come upon a large open area where people are sitting, shopping, and/or eating. This is the departures hall. To the left of this you’ll see signs for baggage claim, which is where you’ll need to go to collect your bags. If you need to pick anything up prior to leaving the airport (i.e., alcohol as it is quite expensive in Iceland) as well as an ATM machine. Collect your bags and exit baggage claim. Here you’ll find not only the various rental car company desks, but also a ticket booth for Gray Line Iceland or FlyBus. Both airport coaches are specifically for taking visitors into Reykjavik. If you are flying through Iceland with Keflavik airport as your connecting airport on your way back to the United States, you’ll still need to pass through passport control. You need only locate your connecting gate, follow the signage for passport control, and then walk over to that gate. Everyone worries that they won’t have enough time to do this, but you shouldn’t worry. This is one of the most efficient airports I fly through and it takes very little time to pass through. 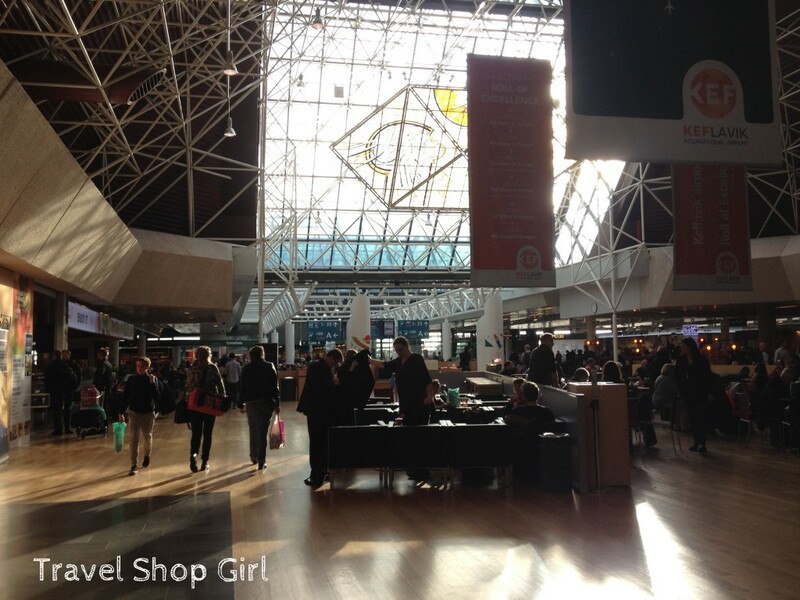 If you have time, whether with a connecting flight or on your return flight home, do go shopping as Keflavik Airport has amazing shops (including the Blue Lagoon store) and restaurants. Should you pass through this area with a connecting flight, pay attention to the time. I can’t stress this enough! In order to get to your gate, you’ll need to stand in the queue (line) for passport control once again. Depending on the number of flights out of Keflavik at the time of your flight, this can be a long wait. Even if you’re used to going to your gate a few minutes before boarding is expected, don’t do this at Keflavik Airport as you might miss your flight. There’s always airport employees around and other traveling passengers will gladly help. There’s nothing worse than people cutting the line, jumping the queue, and/or pushing their way through without being nice. Your airline will announce which gate you’ll depart from and when you should go down to your gate. However, don’t expect it to look like an American departure gate. Instead, you might be a little surprised if you haven’t experienced this before. More likely than not you’ll see people queued up even before any boarding announcement has been made. Best words of advice I can give you? Get in line as soon as you make your way down to the gate. If it gets ugly as it sometimes does, don’t worry. Sit to the side and wait to board at the end of the line because after all, everyone is getting on the same plane. Eventually the gate agent will open the gate and you’ll need to present your boarding pass and passport to pass through this area. This isn’t based on seat assignment, status with the airline, or anything else. Think of it as first come, first served. Once through, the gate agent may close the line off until the crew on the plane allows those customers to board. It is slow and tedious and may seem disorganized, but this is normal procedures and it is what it is so instead of fighting it, the easiest thing to do is simply to accept it. While this isn’t an American method of boarding, it’s fairly common elsewhere in the world. Now that you know and are prepared, I know you’ll enjoy your trip to Iceland! 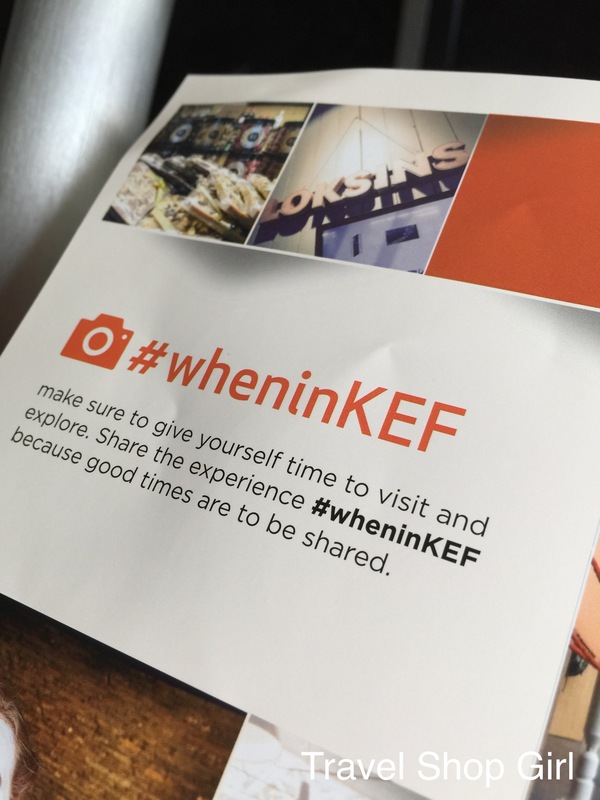 But while you’re at the airport, be sure to use #wheninKEF and share what you’re doing at Keflavik Airport. Did you enjoy your trip to Iceland? 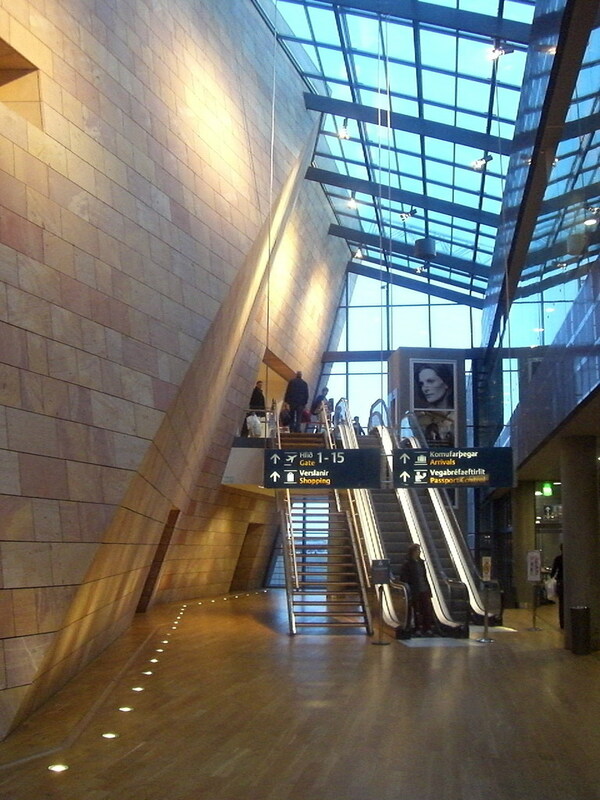 Have you flown through Keflavik Airport? Share your experience, questions, concerns in the comments below. 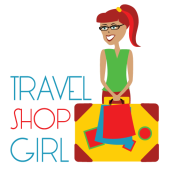 Don’t forget to check out my other travel tips and tricks here on the Travel Shop Girl website. Easiest airport to get around. I often take time to have some Skyr yogurt, when I’m on a layover, waiting for my flight to visit family in Amsterdam. Iceland Air is also the ONLY airline I’ll fly when traveling to visit family in the Netherlands. This needs some revision. Passport control is used where people are crossing borders. Iceland is in Schengen, and that means if you are arriving from a country not in Schengen and travelling to one in Schengen, i.e. Spain, Germany, France you will go through passport control. So for instance, a man travelling from the U.S. and catching another flight from Iceland to Spain will go through passport inspection. The converse is also true, so if this person is travelling back the same way, same thing will happen. I totally get what you are saying. For times when I have flown through Keflavik onto the United States, I’ve not had to go through passport control. But yes – flying through Keflavik to another country you are absolutely correct and I will amend the post to reflect that you do need to go through passport control. Don’t know what I was thinking but thank you for catching that error. If you do not disembark, and fly from Spain to the U.S. with the same plane, then you are correct. But if you are flying with different aircraft from one of the Schengen’s 26 countries in Europe to the USA with another you are bound to face passport control. Maybe you can name some concrete examples of flights you have managed without passport control? And also, well in cases where you fly from the UK to USA then you can avoid passport control. It is only because those flights are outside of Schengen countries. I have a question, I am about to buy a ticket but I am a bit concern about the wait time. I will be flying from US through Iceland to Germany. I will only have 50 mins to get to my connecting fly in Iceland. Is that enough time?? My question is about my short connecting time in Keflavik — 50 minutes! Is that enough time to get to my gate? I will be flying from the U.S. to Copenhagen and connecting in Keflavik on Icelandair for less than an hour. I’m always nervous especially with short connecting flights. Comments? Thanks again for stopping by. Take a look at my other Iceland posts and enjoy your trip! Awesome! Thanks for the map, too! Happy holidays! Same to you Patricia! You’ll have such a great time in Iceland. Come back and let me know what you did if you don’t mind. Happy holidays to you, too! What would you recommend the earliest you would leave Reykjavik on either Flybus or Gray Line bus to make your flight. For example: I’m going to spend a few days in Reykjavik, then have a flight at 1130 to head to London, but wasn’t sure how early I really need to plan/book the bus back to KEF. Fun! I’ve done that flight and it’s a quick little flight to London, my other favorite destination. Not sure what day you’ll be going, but when you book with Flybus, they’ll tell you when they’ll pick you up at your hotel so you won’t have to worry. If you can book online in advance, do it otherwise you can at the airport. It doesn’t take a long time, but you never know on a busy day what security or the lines to check in are like. Regardless of that, I’d definitely plan to arrive at the airport two hours in advance. Be one of the last ones to put your bag on the coach and choose a seat at the front of the coach so that you can jump off, grab your bag, and get in the queue at the ticket counters. Reading about KEF from a number of different sources, it seems like it can be pretty chaotic. We have an overnight layover on a Wow air flight and decided to stay in Keflavik proper, rather than add in the time of going to Reykjavik. Based on what we’re seeing on the KEF website and elsewhere, it sounds like we need to arrive at airport no later than 4:15am for a 6:15 flight. Will that be soon enough? Considering the number of flights departing, I would still hold tight to the two hours early rule only because getting through security after checking your bags can get tight. I’ll be on that same flight as the one in your picture, to Boston. Do those flights generally fly from the same gate? If yes, do you remember yours and did you have any problems finding it? I’m a little nervous since I have only 10 minutes between arrival and boarding time. Thank you for your answer! Hi Liz – I’m fairly certain that the late afternoon flight to Boston leaves from the same gate as it’s the one I’ve always left from when flying back to Boston. As long as you’re leaving from the same terminal, you should be ok. I’ve only had one connection through KEF that was nowhere near my departing gate. You’ll see people heading toward the escalator — don’t follow them. Stay on the lower level and to the right and you’ll see the gate on your right. Good luck! Let me know how it all worked out when you get back. Hi… I am trying to book a time at Blue Lagoon, as our first stop. I was wondering what the time estimate is to get off plane, get baggage, get the car, and drive to blue lagoon ? We will be getting off a cruise ship in Reykjavik in the morning. Our plane, Icelandic Air, does not depart to Seattle until 5:30 p,.m. There is a 5 hour tour of Reykajavik offered by the cruise line that will take us to the airport. It states that in order to take this tour your flight must be later than 4:30 p.m. Does this mean the tour buses get you to the airport two hours in advance of 4:30? Do you have another suggestion to spend the time ( we will have luggage). Also, is the Reykajavik Airport as responsive to someone in a wheelchair as all airlines in the USA are? Back from a wonderful trip. Iceland is truly a hidden jewel. The airport was the worst part of the entire trip. Very little help for the handicap. Wheelchairs were available, but no pushers…you had better travel with someone who could do the pushing. There were four flights departing at our gate all within a 30 minute window…little seating, very confusing. I got the impression that the airport and Reykjavik has not been able to keep up to the torrential downpour of tourists coming to see their awesome country. We travelled in “high” season so that may have made a big difference as to the allowance of time needed (two hours would be the minimum). Thank you for all of the helpful info posted in the original article – much appreciated it! And insight would be helpful. Thanks! I will be coming home to the US from Germany, with a 1 hour layover in Iceland. If I have a checked-on bag, do I have to pick it up and claim it again before going to my connecting flight? If so, do you think i’ll have enough time? Great post! My boyfriend and I are flying very soon to Iceland. Since we have different nationalities, my question is are we doing the passport control together? Thanks for your help! Hi. We are US citizens currently in Iceland. We are travelling to London tomorrow. Will we need to go thru passport control? You say 2 hours is a good lead time, right? Thank you! have been reading about transfers and would like some advice about doing the transfer our flights are Toronto to Iceland to Stockholm and return. our lay-over times are 1hr15 min. e/b and 1hr35min. w/b. any advice would be helpful. James. Wonderful post with lots of helpful pictures. I always find pictures to be helpful, especially with airports and traveling to places you’ve never been! I am traveling with Icelandair to Glasgow next June. We have a 1 hour layover at Keflavik Airport and I’m hoping that’s enough time. Am I correct that Keflavik only has one terminal? Both our flights (ORD to KEF & KEF to GLA) are with Icelandair. Do you think the gates might be nearby? I’m so excited for the trip! Thanks so much! I love Iceland and certainly want to try to help others find it easier through the airport. Having said that and having just been through Keflavik — I definitely need to update the post. In the meantime, you are correct. You will need to clear passport control, but not customs. Deplane and look for your gate (while walking) on the overhead monitors. You’ll see that your gate will require you to clear passport control, which is up the escalator. You’ll go through and then head to your gate. You probably booked with Icelandair, so the 1 hour layover should be fine. I’ve never had that much of a delay, if any with them. The airport is small enough that you’ll understand when you’re there how small it is in comparison to ORD. 🙂 You’ll have time to shop for food or souvenirs and then head to your gate to join others already starting a queue. BTW – loved Glasgow, too so enjoy. If you’re getting a car, try to get out and drive to see the Kelpies. Google them to see why they’re pretty cool. I mean there’s far more to do than just that in Glasgow, but that was a fun find for me. will they be able to carry drinks through from 1st plane to second plane? 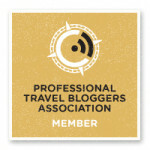 Hello and thank you for your willingness to help travelers with little or no experience connecting through Iceland. I am scheduled to fly via WOW from San Francisco to Amsterdam with a 2-hour layover in Iceland. I believe our luggage will be checked through to Amsterdam but will we need to go through passport control at the airport in Iceland? Will 2 hours be sufficient? Thanks again for your help! Thanks again for your insights on how to navigate through Keflavik. We took our trip last April (2018) and everything went smoothly, even though we left SFO an hour late. Our flight to AMS was briefly delayed to accommodate the passengers arriving late. 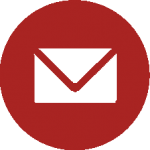 We processed through passport control quite easily and quickly. Hi! Maybe you can help me decide if this is enough time. I created my own layover with REK to Oslo (it was SO much cheaper to do it this way). My plan is, we get in from USA to REK at 9:15am using American Airlines. 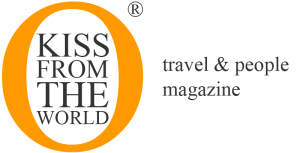 I want to get on a flight to Oslo (SAS airlines) that leaves at 11:35am. Do you think I have enough time for this layover? I know we’ll have to go through passport control (maybe twice?) and recheck our bags. I’ve never done this before…so, I’m a bit nervous about having about a 2:20 hour layover. Thank you in advance!! I’m flying through Iceland in July with my grandson. 1 day stopover. I have booked a tour that picks up at 8:30a in Reykjavik. My flight arrives at 6:30a, same day… Now I am in a bit of a panic. I don’t think I will be able to make it to my pickup site in time. What do you think? My husband and I are connecting through KEF from Paris (ORY) back to the US, and we usually buy a few bottles of wine to bring back home with us from duty free. My Questions are: 1) With our 1 hr 15 min connection , will that be enough time to get through passport control and to our gate? And 2) do we have to re-check through customs/security and then we’re all good, or do they toss our bottles that are wrapped by another airport? We usually fly direct so we haven’t encountered this issue before. Thank you! Thank you Marian! I’m so relieved it’ll be enough time. Yes, we’ll be flying from ORY to KEF, then KEF to IAD (Virginia is final stop). We weren’t sure if they’ll allow us to carry duty free bottles onto the second connecting Icelandair flight (we’re taking the same carrier for both legs). I read where KEF recently underwent expansion and am looking at a flight on WOW airlines that goes from Berlin to KEF with a 50 min layover to catch WOW flight back to San Francisco. Do we go thru passport control? Is 50 minutes enough time to make it to our gate with the new expansion? Thanks for great info! The airport is an easy one to get through and I don’t see any issue with you getting through and to your gate. Have fun! We arrive KEF airport at 6am in August and have a 1 day overnight in the country on Icelandair ticket continuing to Berlin the next morning at 6am. In February I read an article from the airport staff about this summer 2018. The article told customers “come to the airport early (from midnight ’til morning this summer) saying “avoid the peak arrival time at 5-6am. Come early and the shops and restaurants will be open”. In addition it mentioned that there is a 4 hour bus tour roundtrip from/to airport that leaves every morning at 7:30am and returns about 11:30am. We would like to take that tour. We could then go from airport to our B&B near KEF and have evening to rest. We will return to KEF from B&B in time for 6am flight to Berlin. I cannot find that original note or website. Do you know about it? or the 4 hour tour? You have some very informative posts above. Hoping you can help me with my dilemma. I am flying from seattle to KEF arriving at 0910 via Delta airlines. My plan is to buy a one way ticket to Norway leaving at 1145 with SAS (i will be traveling to finland, then back to iceland for the final leg). Is this enough time? How many times will i have to go through passport control and customs? Does this mean, i have to pick my checked bag from delta and recheck in with SAS? My plan leaves at 7:35 am, how early should I be at the airport? We are arriving in Iceland on WOW airlines in mid October at 5am local time.I have booked a 4×4 rental car from Hertz rental at the Kflvk airport. I have booked a golden circle tour that we need to meet at Holtavegur Grey Line tours Bus terminal at 8:30 am. Do you think that will be enough time? Are the rental car companies open at 5am? Thank so much! We are flying from Boston to KEF with a short connection to Paris (CDG) all on Icelandair. I am confined to a wheelchair. Can I do a gate check for my electric wheelchair to get in in KEF? I would be much more independent in my own wheelchair. 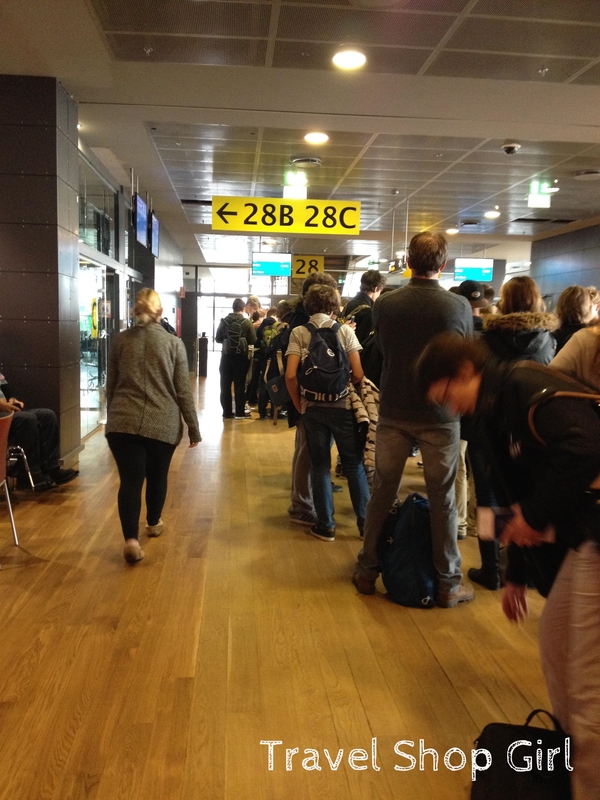 Will we need to pick up our check through luggage in KEF and go through customs? Will we need to go through passport control? I am planning a return flight Glasgow to Portland Oregon for next year but return flight only gives 40 mins in Reykjavik.is that enough time? I have read through your good advice. Thank you! I wanted to get your feedback on our plan. We are flying from USA to KEF arriving at 8:30 am in June. We then have a completely separate reservation on Icelandair to Paris two and half hours later . Can we make it if we have checked bags? And do we have to return to the arrivals area of the airport to check these bags onto our next flight? Your bags will be checked through for you so you won’t need to worry at all. You’ll have enough time to grab some food and do a little shopping before you board your next flight. Have fun! We are flying from London to KEF and then to Portland, Oregon. Both flights are on IcelandAir but I found that if I book them on one ticket it will cost me an additional $300 so it seems to make more sense to book them separately. My concern is we will only have a 1 hour and 40 minute layover and will have to go through passport control and then pick up our bags and recheck them and then go to the gate. Based on previous comments of how long security can take will we be pushing it if our bags need to be rechecked? I have found that KEF is one of the easiest airports to go through anywhere in the world. So don’t expect long delays as there are hardly ever any. I would confirm with the gate agent when you check in that your bags are going all the way through to Oregon. Regardless of whether you booked them at the same time or not, it’s with the same carrier so that means they should go all the way through.